It looks like Globacom has adopted this freedata day stuff as every month trick to attract more subscribers to their network. It's a very nice business idea that benefits the two parties concerned. October is making it 3 straight time Glo free data day will be made live for customers to enjoy. On the faithful day, subscribers who are eligible for the free data will enjoy 200MB, plus free chatting on WhatsApp all through the day. All Glo customers can now enjoy a whole day of free data when they meet set of voice and/or data usage threshold within 7 days to the free data day. Use N250 or more on voice calls. Once you meet the requirements above, you will receive an SMS confirming your eligibility for the free data day. Glo Free Data Day is capped at 200MB, plus free chatting on WhatsApp all through the day. 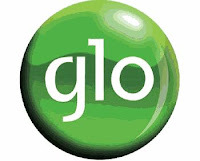 What do you think about this new pattern from Glo network? Have you enjoyed free data day from Globacom before?